At my first year I did’t get a lot of chance to meet any Taiwanese, so the only time for me to speak Chinese is when my friends from college come over or I’m speaking on the phone with my family. It is such a shame that I can’t talk to someone in uni in my mother tongue who is sharing the same background with me, even though I have a bunch of amazing friends I sometime will still feel a little lonely. Due the lack of the amount of Taiwanese studying in Bsc, the Taiwanese couldn’t form an official society, in that case there isn’t a lot of promotion and events going on last year. Thanks to the president of this year, Jenny, she started to work on the society by posting on a FaceBook fanpage to recruit new committee members, which is how I get involved. 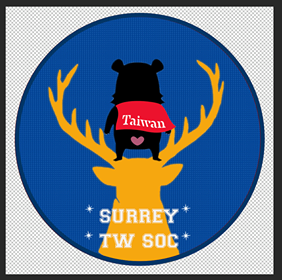 This year, we will be planning more and more events to connect all the Taiwanese in Surrey and do our best! The recent event that is coming up is the popular hot pot meet & greet, this event has been asking for non-stop during the freshers’ fair😂(Then you know how Taiwanese love food) So we think why not hold an meet and greet event with hot pot! Luckily there’re more than 40 people in our group chat and half of them are gonna turn up! It is such an encouragement for us committee members, although there were some difficulties with preparing the food and find a place to fit in everyone haha. The event is on tonight, I’m really looking forward to it and I hope we can hold more events like this! We will be updating the future events here! Next time I will bring back the photos and the details of this meet and greet, see ya!